PBS is about to explore the History, the Art and the Politics of Quilts. Watch this trailer. I was fascinated that our craft is being brought into a new light. Why Quilts Matter You’ll need to check your PBS schedule for Fall 2011 to find out when this series will be available in your area. Do you know how sad it is to drive all the way to another state, and find that the ONLY quilt shop in the area is closed!! This is how I feel about so many of you! Thanks so much for starting my day off with a smile. You know I've mentioned before how I love to find quilting and craft books at my local Library. Well this week there were some great new finds. I was so thrilled to find a copy of the 2011 Catalogue of Show Quilts from Paducah. And this one by Caryl Bryer Fallert. I went to this Quilt show, but after looking at all of the quilts in this book, I realized that I did not see all of them :-( This years show was rearranged due to the flooding in Paducah. But it was nice to be able to view all the quilts that were entered. It was the hottest book around the blogging world last year. This was my first look at this book. And you know what? I did not know 90% of the bloggers that were listed!!! I must live quite a sheltered life, as the bloggers that were featured are supposed to be quite popular. Now I have a question. Do you subscribe to Quilting magazines?? I have subscribed to several different publications through the years. I have my favorites, and some that I just don't bother with. But this month I received two Quilting magazines that, well, they just left me very disappointed. I've already decided that I will not renew my subscriptions. But I just wondered what your thoughts are about the current ones out there. I am not going to name which ones, as I know we all have different tastes, and maybe it's just me :-S I'd just like to hear what others think about the current magazines. I hope that you are all having a great quilting week! Thank you to all who stopped by to tell me where you are from! What an amazing array of world travelers. I am so excited to meet so many of you from all over the world. You know, if someone does not leave a comment, even though my STATS say I've had 300 or 400 visitors, I don't know who you are :-( But I say hello to Australia! Hello to Sweden! Hello to Norway! Hello Spain, Portugal and Equador! Hello to France! And of course Hello to all of my US and Canadian visitors. Thanks so much for reading my blog. I am very grateful for all of you who come back and read my ramblings. I also enjoy reading your blogs too! Now if you have not seen this blog hop, I think you would enjoy taking a look. After posting my quilt on the Pets on Quilts show, I saw the cover of this book. Isn't the quilt with the fish beautiful? I'd love to look through this book. You can follow along on the blog hop and maybe win a copy :-) Wouldn't that be fun? So go to Lark Crafts and check out the blog hop list. If you have a Blogger account, have you ever noticed the "STATS" link ? After you sign in and go to your Dashboard, you can see it there. It shows the most visited pages and posts from today, or this week or even in the last few months. It shows where your visitors come from (which countries and from which websites). A very cool tool ! And just for fun today, I thought I would share a few license tags from my lovely Sunshine State! And there is always sunshine for golfing! Hummm............ wonder what this message means? I do agree with the message on this tag. But surrounded by chain links????? Honoring our service men and women. Some of my family members are big Rays fans! My stats said I have visitors from all over the world. This is my little Featherweight. I love this little machine. She is not my first Featherweight though. My Mom had an old Featherweight that she used once in a while for mending. When I started sewing for Home Ec, I wrestled with her Featherweight to the point of frustration. It never seemed to run right. I passed the Home Ec class and one of the first things I purchased after high school was a Singer Stylist sewing machine. After my proud purchase my thoughts at the time were, why would I need that old black thing that gave me such a hard time!! But in the back of my mind, I mourned for that little black Featherweight. The more I heard of others sewing on Featherweights, the more I lamented. I was sure that my old co-worker was still sewing on that little black machine. On Christmas morning in 2003, there was a little black box sitting under the Christmas tree. I wondered what in the world could be in that little box. At first I thought it was some kind of projector or camera. But when I opened the lid, there she sat, in all of her glorious beauty. My dear sweet husband and son had been on a mission to buy me a new sewing machine. I was thrilled to say the least!! But that is not the end of the story. You see, my dear sweet husband and son had gone to a sewing machine repair store and asked questions. The store owner told my dh that the Featherweight had the best straight stitch, and that quilters everywhere covet them. Hummm, but it isn't a new machine. Oh if you want a new sewing machine you need to go to the store down the road. So in addition to this little beauty, my dear sweet husband and son bought a Bernina Virtuosa 155. Can you imagine my surprise when I not only opened the Featherweight but the next box was this incredible Bernina! Two machines that I dearly love. Drop by Insights From SewCalGal and VOTE for your favorite Pets on Quilts. Butterflies, dragonflies and goldfish - oh my!! I had to stoke them up by feeding them. I splash my hand in the water and they come, cause they know it's time to eat. And then they follow the food as it floats around the pond. There always seems to be one left behind to check out that it's all gone. And this morning, I put the quilt out to see if I could attract any passing butterflies or dragonflies. My friend Darlene from Insights From SewCalGal is hosting a Pets on Quilts Show this week. If you hurry, you still have time to enter this fun Quilt show. I do not have any pets that can model my quilts. Be sure to check out the Quilt show. Read the rules and be aware that you can vote for your favorite quilt on Saturday and Sunday! During our travels up and around the mountains in Georgia, we came across several antique shops. I thought it was very interesting to see how some crafters recycle articles of clothing. Take ties for instance. Would you make or wear one of these?? Or in a desperate situation, would you re-cane your chairs like this?? Come on, you know you want to do this!!! Gather up all those polyester ties and start weaving ;-) What else could you possibly do with that collection of ties? It seems like a lot of folks are taking the last few days of summer for a quick little vacation. Well we joined the ranks and took a few days away. Today I am joining Wayfaring Wednesday. I have sewn several strips of fabric together and then will sew them along the sewing line of the panel. Cut each section on the cutting line and then turn with a Tube turner. If you look closely, you can see the little hook at the end of the tube turner. After the section is turned you press your strip sets onto your background fabric and then stitch! You can do a zig zag stitch with invisible thread or stitch close to the edge. Whichever you prefer. The Tube Turner and the Quiltsmart sheets are available at your Local Quilt shop. Or you can check online at www.quiltsmart.com. I think there are other patterns available as well. 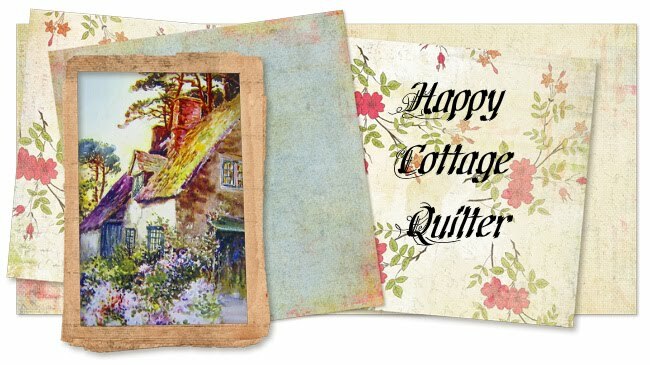 Hope you have a Happy Quilting weekend! ......... things look harder then they really are. Remember this quilt that I made for my daughter? I decided to quilt it with silk thread. I'm sure it it difficult to see the quilting, but I found that the silk thread really quilted up nicely. It doesn't lay on top of your fabric like cotton thread does. Nor does it dig in like invisible thread. It just seems to blend into the fabric. And let me tell you, it sews so smoothly. Beth from the The Quilt Ladies Collection found this video of the Red and White Quilt exhibit that was displayed this past spring in New York. Such an amazing collection that every quilter should see. The video was done my Martha Stewart. Staci over at The Confused Quilter shared about a tool she enjoys using. I had seen this tool used by the Lady herself, Eleanor Burns, but I never put too much thought into it. But Staci's post HERE was so helpful and informative, that I went out and bought the Shape Cut Ruler taking advantage of JoAnn's 50% off quilting notions sale. There's a great video tutorial at the June Tailor website, and you can see it HERE. So why is this tool so great? Most of the cutting I do consists of geometric shapes. I love using charms, and this tool is amazing at making charms. Sixteen charms made in no time. And there is no loading of a machine, plates, dies or anything special. No machine to lug around, no dies to deal with. And the price is soooo affordable. I bought the 12" x 12" ruler because that was the largest size that my JoAnn's carried. However if I could find the Shape Cut Pro like Staci has at a reasonable price, I would love to use that one too. Can you imagine how quickly you could make sashings??? The video tutorial shows how to make other shapes as well.